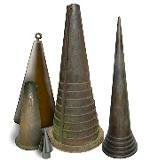 SwageBlocks.com Special anvils for repousse, artist blacksmiths, armorers and jewelers. The Swage block, swedge or swage anvil has been with us for over 3000 years. It is considered an indispensable tool by some metalworkers and unheard of by others. While this multifunction tool has been considered a standard item in blacksmith shops for over a century many still do not have them. Some catalogs of tools do not list them and some authors on the subject of blacksmithing and metal work have not mentioned them. Yet they exist in the thousands if not millions. This common yet mysterious tool is made in almost infinite variety yet retains a standard basic form. Here we reveal the mystery and explore the subject of this unusual tool. Old catalog pages and printed swage block research material with bibliography. What is a swage block? Block Gallery of antique and modern swage blocks. Over a decade's worth of collecting swage block photos with descriptions and type categorization. 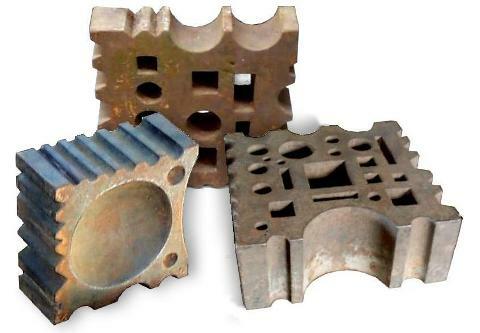 Antique personal swage blocks, industrial blocks and dapping blocks as well as modern artist blacksmiths' blocks. Includes the famous Wally Yater block pair, swage blocks by John Newman, Josh Greenwood and Jock Dempsey. New additions! Now includes 54 blocks, 15 cones and 6 catalog page entries.